If you have any information about these crimes or any person(s) involved, you are urged to call Chipola CrimeStoppers TOLL FREE 888-804-8494 or in Jackson County 850-526-5000 or submit a Web Tip at www.chipolacrimestoppers.com. You do not have to give your name CRIME STOPPERS will pay a cash reward of up to $3000 and you can remain anonymous. Chipola CrimeStoppers serves Jackson and Calhoun Counties. and asked her if she had the time, the victim told him that she did not and continued to walk to her vehicle. The suspect then approached that victim and grabbed her by her neck and told her to open her car. The victim tried to give the suspect the keys but he grabbed her hand and made her unlock the car and then tried to get her in the vehicle. The victim told officers that she fell to the ground and that the suspect then grabbed her purse and fled the scene. The suspect is described as a black male approximately 6 foot tall, medium build, shaved head, and a mustache. He was last seen wearing a dark blue or black jacket and dark grey or black pants. Anyone with information is asked to contact the Marianna Police Department at 850-526-3125 or Crime Stoppers at 850-526-5000. 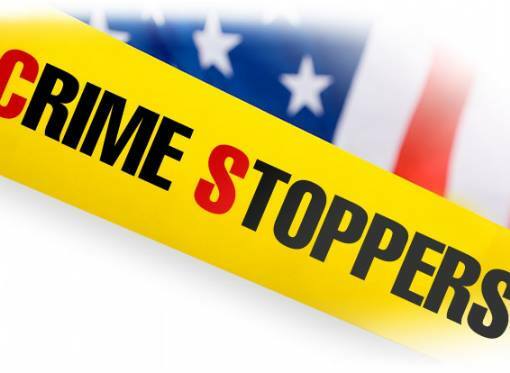 On 5-17-15 at approximately 11:47 pm the Jackson County Sheriff’s Office received a 911 call of a reported robbery at the Southern Express Chevron Station, located on Hwy 231, just north of I-10. The victim reported that just before closing the store, she was returning from taking the trash to the dumpster when she was accosted by two black males. She was forced back into the store and threatened with a blunt object. The suspects fled on foot with an undisclosed amount of cash and the clerk was not injured. Suspect #1 was wearing a black hoodie, covered by a white, long sleeved shirt, dark jeans, and dark tennis shoes or boots. Suspect #2 was wearing a white hoodie, covered by a dark long-sleeved shirt, dark jeans, and dark tennis shoes. The K-9 tracking teams from JCI and ACI responded and established a track to the north of the store. At some point the track ended and it appeared that the subjects may have left the area in a vehicle. The investigation is continuing. Anyone with information regarding this case is asked to call Crimestoppers at 526-5000 or the Jackson County Sheriff’s Office at 482-9624. On April 7, 2015 deputies from Jackson County Sheriff`s Office responded to a report of missing cattle. The complainant advised deputies that he was missing five cows and their calves. The cattle were described as "black baldy cattle" meaning the cattle were black in color with white faces. The calves were described as being similar in color and weighing approximately 200 pounds. The cattle were reported to have gone missing between March 24, 2014 and April 7, 2014. The Sheriff`s Office is investigating this case as an incident of cattle rustling. The Florida Cattlemen`s Association has offered a reward for any information leading to an arrest and a conviction in this case. 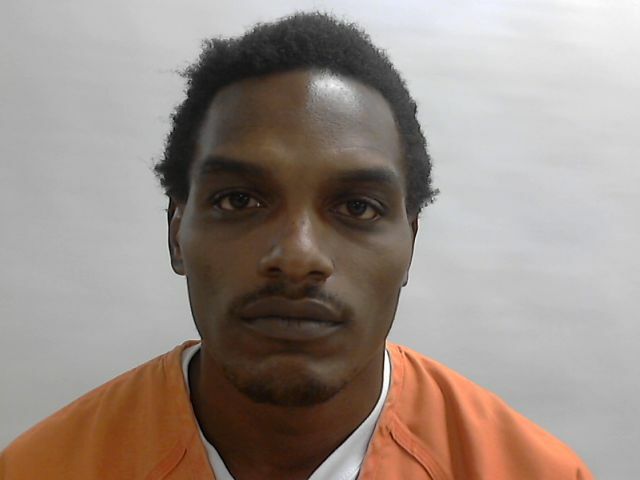 Sheriff Roberts requested that anyone with any information regarding this case contact the Jackson County Sheriff`s Office at (850) 482-9648 or Chipola Crime Stoppers at (850) 526-5000. The Jackson County Sheriff’s Office is requesting the help of the public in locating a stolen vehicle. The vehicle was experiencing mechanical issues and was parked on the south side of Hwy 162 (Greenwood Hwy) between Holyneck Rd and Waddell Mill Rd on Saturday the 4th of April at approximately 7:00 PM. The victim left the vehicle secured and was unable to return until Monday the 6th at approximately 9:00AM, at which time the vehicle was discovered stolen. The investigation reveals that the vehicle was possibly stolen sometime during the night of the 4th. The vehicle is a four door 2004 Acura TSX, silver in color and had Florida Tag # WCQ5G displayed. The vehicle had dark tinted windows and a sun roof. The front tag was that of an Acura symbol and in the rear window on the driver’s side was a sticker “My Son is a Marine”. Anyone with information in this case, please call the Jackson County Sheriff’s Office at 850-482-9648 or Crime Stoppers at 850-526-5000. 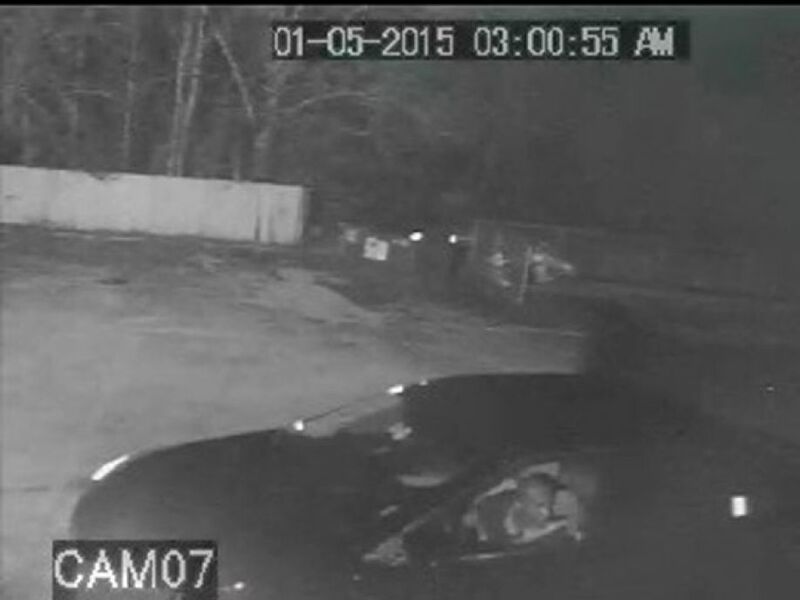 On 03/17/2015, Officers with the Marianna Police Department received information from officers with the Jackson County Sheriff’s Office about several vehicle burglaries that occurred in the Malone area that may be linked to the vehicle burglaries that occurred in the City of Marianna. Officers with the Marianna Police Department, with assistance from the Jackson County Sheriff’s Office, were able to make contact with Benjamin Temples, Jonathan Henderson, and a 16 year old juvenile. During the course of questioning the suspects they each gave statements as to their involvement in the vehicle burglaries that occurred in the City of Marianna. During a consensual search of Temple’s vehicle, a Glock 27, .40 caliber handgun was discovered. This firearm was identified as the handgun that was stolen on 03/14/2015 from a vehicle in the City of Marianna. Along with the firearm, other stolen items were located and taken into evidence. These arrests are a part of an ongoing investigation into vehicle burglaries within the City of Marianna. If anyone has further information on any of these burglaries, or discovers they may be a victim of such a crime, please contact the Marianna Police Department at 850-526-3125 or Chipola Crimestoppers at 850-526-5000. The Jackson County Sheriff’s Office is currently investigating two burglaries at the Southern Express Convenience Store located at 2638 Hwy 231, Cottondale FL. This store is located at the intersection of Hwy 231 and Interstate 10. The first burglary occurred on January 5 and the second on January 10, 2015 both between 2:00 a.m. and 2:30 a.m. Both burglaries appear to be by the same subject. The suspect is a black male, possibly bald, with thin to medium build. Both times the suspect is wearing white gloves, toboggan, dark jacket and jeans. The suspect is driving a dark colored, possibly black, mid size, four door car. 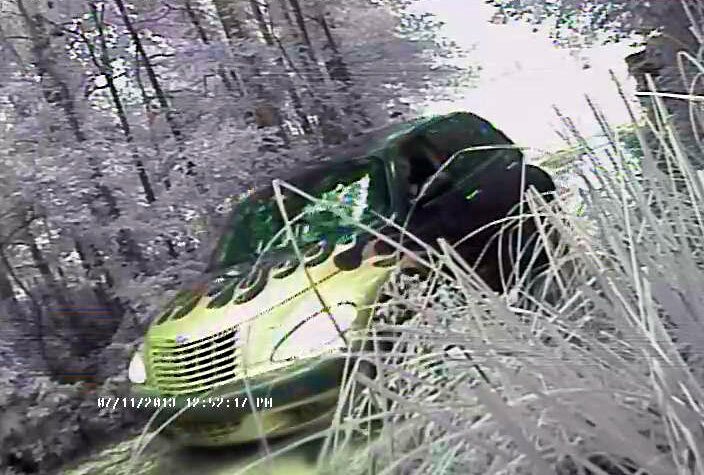 The vehicle appears to have some type of reflective sticker in the driver’s side, rear door window. On both occasions the suspect has thrown a concrete block through the glass door and entered carrying a garbage can. Once inside he fills the garbage can with cigarettes, returns to his vehicle, dumps the cigarettes, re-enters the store and fills the garbage can one more time. Total loss with these two burglaries is approximately $7,000.00. Anyone with information can contact the Jackson County Sheriff’s Office at 850-482-9648 or Chipola Crime Stoppers at 888-804-8494 or 850-526-5000. 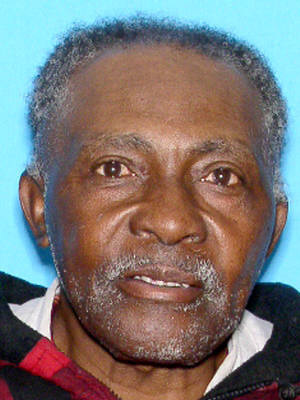 On Monday January 19, 2015 the Marianna Police Department received a 911 call to 4264 Graham Street, Marianna, FL which is the residence of David Tinsley, a black male 72 years of age in reference to a possible deceased person. Upon arrival Officers discovered Mr. Tinsley deceased and evidence indicating foul play. The Marianna Police Department is asking the community for any information regarding the death of Mr. Tinsley to please call the Police Department at 850-526-3125 or if you have any information about this crime or any person(s) involved, you are urged to call Chipola CrimeStoppers TOLL FREE 888-804-8494 or in Jackson County 850-526-5000 or submit a Web Tip at www.chipolacrimestoppers.com. You do not have to give your name CRIME STOPPERS will pay a cash reward of up to $3000 and you can remain anonymous. Chipola CrimeStoppers serves Jackson and Calhoun Counties. On Tuesday January 13, 2015 approximately 8:00 pm a driver and his passenger, both Hispanic males, were driving south on Hwy 69, north of Dellwood. A vehicle approached them from behind and flashed the lights. The driver pulled over and one subject from the unknown vehicle approached the driver holding a firearm and another approached the passenger. The subjects robbed the driver and passenger of an undisclosed amount of money and then left the scene traveling back north on Hwy 69. The subjects were described as wearing mask and driving a dark colored unknown make vehicle. This incident is still under investigation by the Jackson County Sheriff’s Office. On Wednesday January 7, 2015 approximately 9:55 pm Deputies of the Jackson County Sheriff’s Office responded to an attempted strong arm robbery at the Speed Track Convenience store on Caverns Road. During the investigation it was determined two unknown subjects dressed in dark clothing attacked the clerk outside near the northwest corner of the store after closing. The clerk had started walking to his residence when the attack occurred. The clerk was able to fight off the attackers and ran back into the store. The clerk then called the Sheriff’s Office. Nothing was taken. ACI and JCI canine tracking teams were called to assist the Sheriff’s Office. The canine teams tracked the subjects to a clearing east of the store where it is believed they left the area in an unknown vehicle. Anyone with any information of this crime can call the Jackson County Sheriff’s Office at 850-482-9648 or the Chipola Crime Stoppers at 850-526-5000. On 10-21-2014, at approx. 4:30am, a black male wearing dark colored hoodie, dark colored pants the suspect had his face concealed with some type rag or handkerchief, the suspect entered the Tom Thumb convenience store located at 3008A Jefferson St. and held the clerk at knife point, robbing the business, and taking an undetermined amount of cash. The suspect fled the scene, traveling south on Jefferson St. If anyone has any information concerning this robbery, please contact the Marianna Police Department at 850- 526-3125 or Crimestoppers 850-526-5000. The above mentioned individual was developed as a suspect and at approximately 10:00 am contact was made with him. After further investigation we were able to develop enough information to charge the subject with armed robbery. The Marianna Police Department would like to thank all the witnesses that came forward and provided information that lead to the quick apprehension of this suspect and additionally we would like to extend our thanks to the Jackson County Sheriff’s Office for their assistance in this investigation. On Monday, October 13, 2014 approximately 7:55 pm the Jackson County Sheriff’s Office received a call in reference to an armed robbery at Green’s BP on Hwy 71 north. Deputies arrived at the scene within minutes. During the investigation it was learned that while the clerk was standing outside the entrance a subject displaying a handgun approached the clerk from the north side of the store. The subject forced the clerk inside the store and demanded the clerk to give him the money. The clerk complied and gave the subject an undisclosed amount of money. The subject then fled on foot back to the north. Canine tracking team from ACI and JCI were notified. The canine team was unable to find a track. It is believed the subject left the area by vehicle. The subject is described as being between 5’10” and 6’, wearing dark jeans, a dark hoodie and black sunglasses. Anyone with information of this crime can contact the Jackson County Sheriff’s Office at 850-482-9648 or Chipola Crime Stoppers at 888-804-8494 or 850-526-5000. 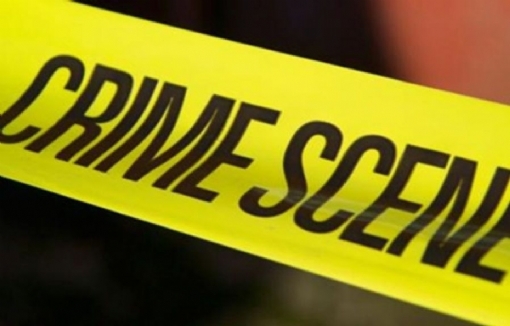 The Jackson County Sheriff’s Office is currently investigating four burglaries in the Graceville and Campbellton, Florida areas where it appears that jewelry and medication are being targeted. Between the dates of August 26th, 2014 and September 2nd, 2014 at least four residences have been broken into, three of which are just south of Graceville. 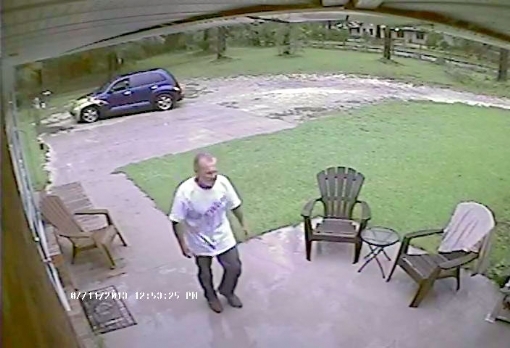 The Washington County Sheriff’s Office and the Holmes County Sheriff’s Office are also investigating burglaries that appear to be similar in nature to the Graceville area burglaries. The Jackson County Sheriff’s Office is requesting anyone with information about these burglaries or anyone attempting to sell jewelry to please contact Chipola Crime Stoppers at 850-526-5000 or the Sheriff’s Office at 850-482-9624. On 08-05-2014 the Marianna Police Department received a report from a customer at the Marathon Handi-Mart at 4177 Lafayette St that his wallet had been stolen from off the checkout counter in the store. He had put the wallet down while waiting to check out and forgot it. Review of the security cameras show a black male, in a dark and light blue striped shirt, picking up the wallet and concealing it in his pants. 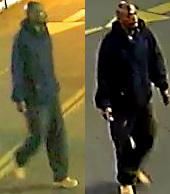 The attached still photos are of the suspect. Anyone that can identify the suspects in these photos is asked to call Capt. Bryant with the Marianna Police Department at 850-526-3125 or call Crime Stoppers at 850-526-5000. Everyone in Jackson County knows something about agriculture, 4H and FFA. The story you are about to read will soften even the hardest of hearts. On the afternoon or evening of Friday, May 30, 2014 something unimaginable happened in Jackson County. Josie Scott found her heifer calf that she had invested in for the Panhandle Youth Expo and other area shows not well. Josie knew immediately that something was not right. Someone had harmed her animal and it is believed that the animal had been shot and it had to be put down. Her heifer was nine months old and Josie had been working with it for quite a while in hopes of the animal being a prize winning heifer when it was old enough to show in the fall. She had put many hours as well as hundreds of dollars into this animal in an effort to make her project a success. Josie had to feed and groom the animal daily and already had the animal trained to be led by a rope and halter. Josie is the daughter of Peter and Ashley Scott of Cottondale. The death of Josie’s heifer has been listed as a suspicious death and foul play is being looked into. Local Farm Bureau agencies, the Jackson County Cattlemen Association and numerous individuals have pledged $500 as a reward for information leading to the arrest and conviction of the person or persons involved in the death of this animal. Local authorities are investigating and encourage anyone with information in this case to call Chipola CrimeStoppers TOLL FREE 888-804-8494 or in Jackson County 850-526-5000 or submit a Web Tip at www.chipolacrimestoppers.com. You do not have to give your name. CRIME STOPPERS will pay a cash reward of up to $3000 and you can remain anonymous. 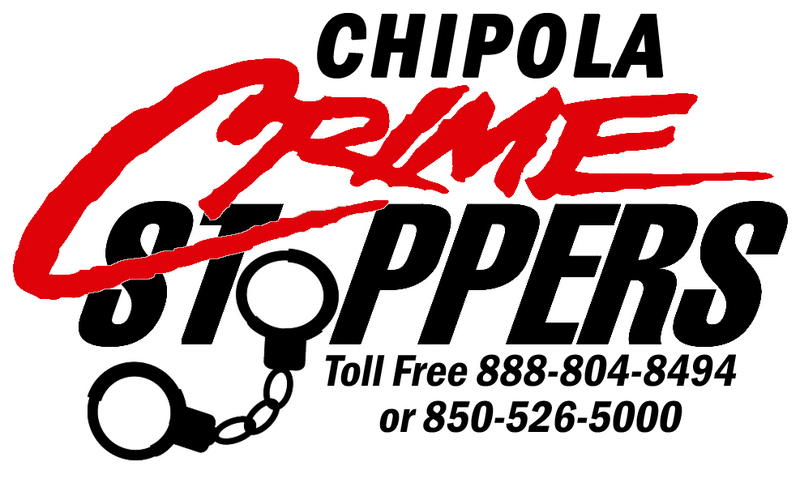 Chipola Crimestoppers is funded wholly or in part by the office of the Attorney General Crime Stoppers’ Trust Fund. 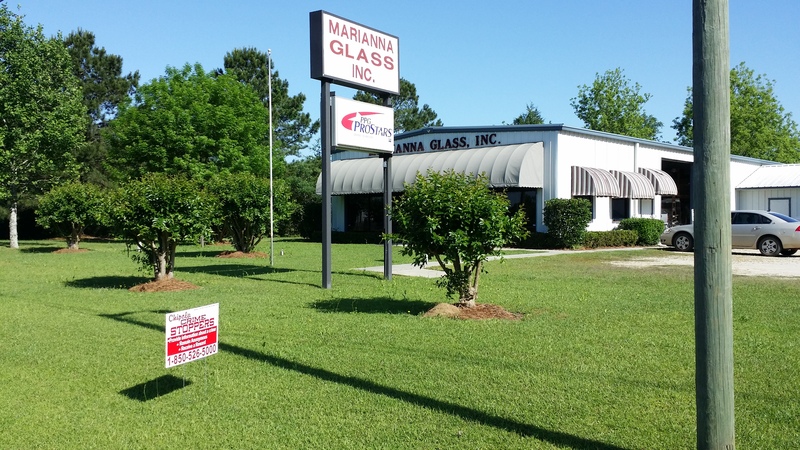 The Jackson County Sheriff`s offices is requesting information regarding a burglary at the Marianna Glass Company located at the intersection of State Road 71 North and Blue Springs Road. Anyone with information regarding this incident is asked to please contact the Criminal Investigations Division of the Jackson County Sheriff’s Office at 850-482-9664 or the Chipola Crime Stoppers at 850-526-5000. Sheriff Roberts advises that anyone that calls with information regarding this crime may choose to remain anonymous and that you can be eligible for a cash reward. The Jackson County Sheriff’s Office is asking for the public’s assistance in the theft a counter tops that were taken sometime between Sunday night (03/23/14) and Monday morning (03/24/14). The counter tops had been placed in a wooden trailer and parked at the intersection of Hwy 90 and Spring Creek Road where they were last seen. According to the victim, the counter tops were described as being approximately 15 years old and brown in color. There were a total of 5 sections of the counter tops for a total of approximately 40 running feet. One section of the counter tops had a sink hole cut out of it and all but one section had back splash on it. The counter tops were covered in Formica and valued at approximately $500. The victim is offering a reward for any information regarding the missing countertops. If anyone in the area has any information about the missing items you are encouraged to contact The Jackson County Sheriff’s Office 850-482-9648 or Chipola Crime Stoppers at 850-526-5000. Click the link below to submit a tip through the web. On Friday December 27, 2013 at approximately 9:27 pm officers with the Marianna Police Department responded to the report of a Home Invasion Armed Robbery at an address on Cedar Street in Marianna, Florida. Upon arrival, officers made contact with the victim and were able to get a description of a black male approx. 6 foot 3 inches, medium built approx. 200 pounds wearing a black ski mask, a dark colored shirt, and armed with a long rifle. Although an extensive search was conducted of the immediate area by Officers of the Marianna Police Department, Jackson County Sheriff Department Deputies and K9 Units from Appalachee Correctional Institution and Jackson Correctional Institution, officers have been unable to locate the suspect at this time. If you have any information on the following incident please contact the Marianna Police Department at 526-3125 or Crime Stoppers at 526-5000. 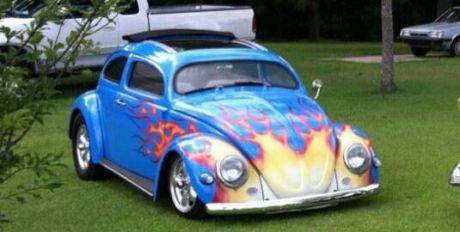 Jackson County Sheriff Department Officers are currently investigating the theft of a Blue 2 door 1958 Volkswagen. The vehicle was reported stolen on October 12, 2013 from a residence located at 4371 Tupelo Court in Marianna. The theft occurred sometime between Wednesday October 9th and Saturday October 12th from inside the homeowners garage. Anyone having information regarding this theft is asked to contact the Jackson County Sheriff`s Office at 850-482-9648 or Jackson County Crime Stoppers at 850-526-5000. Marianna City Police Department Officers responded to a Criminal Mischief complaint on Saturday October 5, 2013 at 4454 Broad Street where the victim stated that he and his wife were sitting on the front porch and observed a silver older model Chevy pickup truck pull up in front of his residence with the headlights off. The dome light was on in the truck and he saw two younger white males sitting inside. The victim then heard a loud noise and the truck drove away. Upon investigation of the noise, the victim saw that his mailbox had been destroyed. Sunday, October 6, 2013 Officers responded to 2961 Dogwood Street in response to a criminal mischief complaint. Upon arrival the victim stated to officers that on Saturday October 5th at about 9:50 PM he heard a loud noise outside and observed his mailbox destroyed and lying in the street. While outside he heard another loud noise in the distance similar to the one he heard while inside his residence. Officers discovered 13 more destroyed mailboxes on the east end of the city, north of Highway 90. If you have any information on the suspect`s vehicle or the perpetrators please contact Crime Stoppers at 526-5000 or the Marianna Police Department at 526-3125. Please help identiry two suspects.